Tired of the same old drab, big box store shelves? Looking for something with more personality? 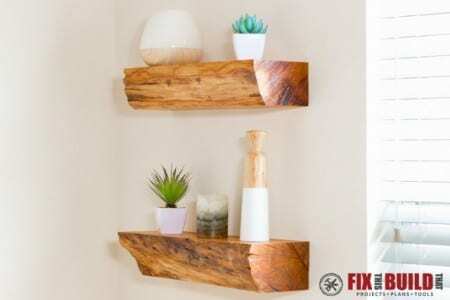 DIY those wall shelves! 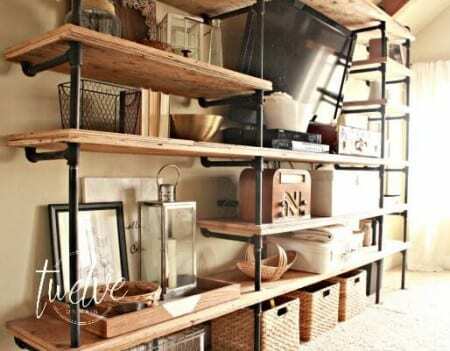 You can add so much character and style to your home with the right shelves. When you make them yourself, you’re able to customize to get just the right size, fit and look. Want something rustic? Eclectic? Modern? Traditional? 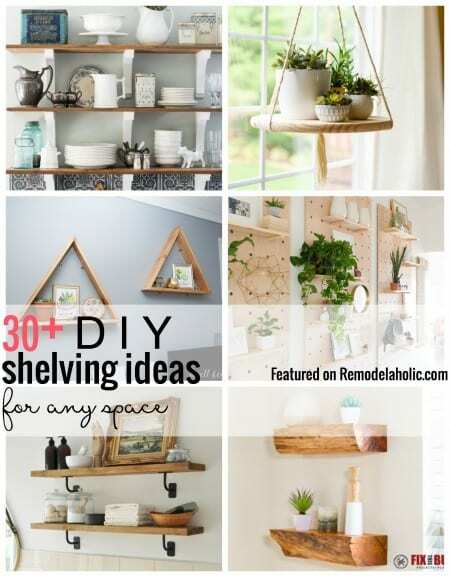 Well, we’ve got DIY shelving ideas – big and small – for any style home. Here are some of our favorites. These log wall shelves look like a piece of the forest right on your wall. They’re so rustic and unique. 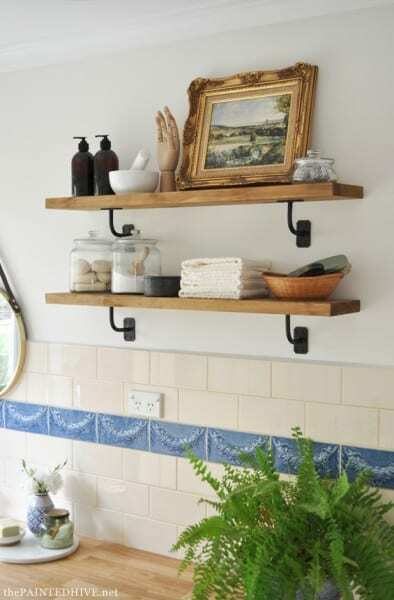 Use simple black brackets and distressed wood to make these stylish shelves. 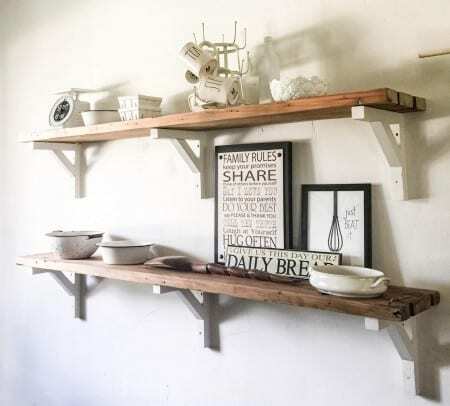 These floating rustic shelves have so much character – they are super narrow so fit in small spaces, and the wood is recycled. 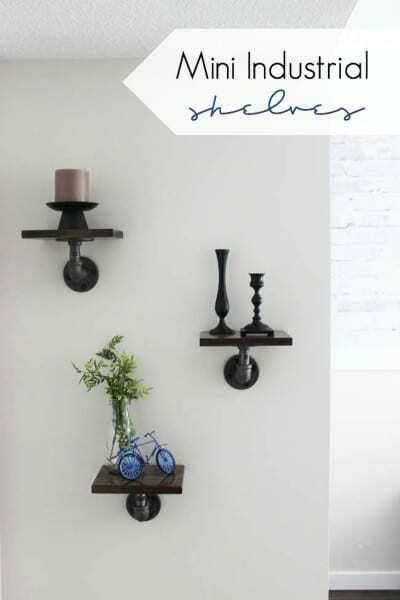 Here are some rustic shelves with touches of modern elements that give them an updated feel – with the clean, light wood shelves and the geometric background, the industrial metal stands out. 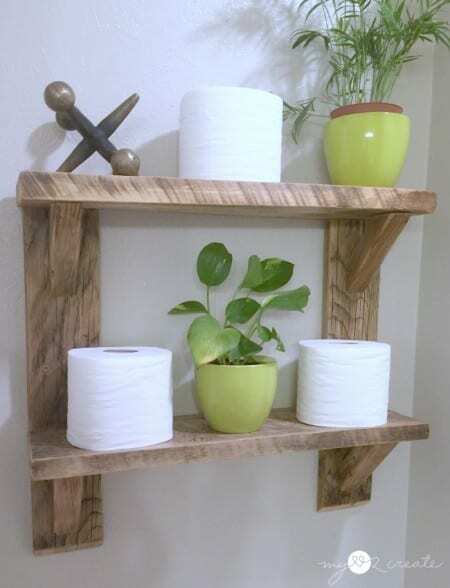 Use plywood instead of reclaimed boards to make create an even more industrial feeling with your pipe shelves. Mini industrial shelves are perfect for displaying small items. 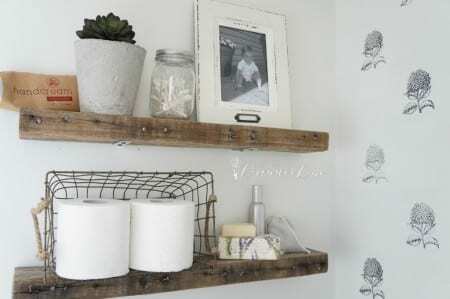 Make chunky corbels for your distressed shelves for an authentic farmhouse feel. 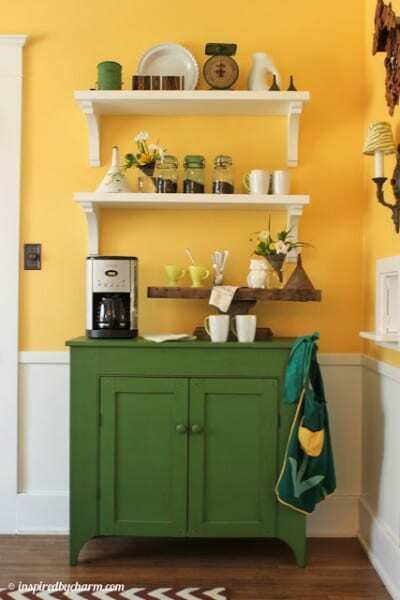 Painted corbels matched with the stained wood shelves look AMAZING. 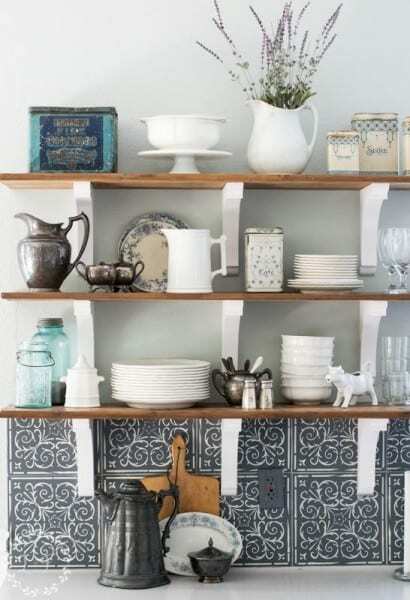 Make your own thin corbels, and rock the two-toned look with farmhouse inspired open shelving like this. 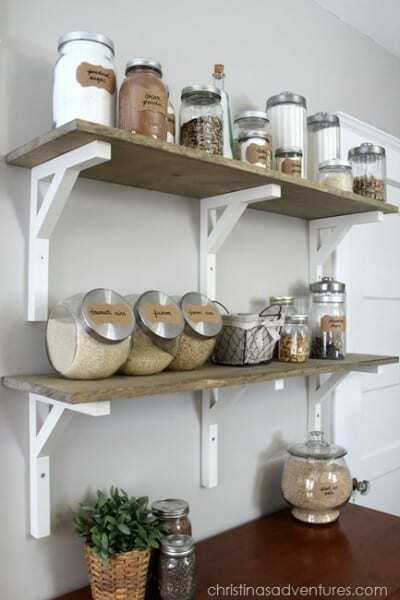 You can make the whole shelving wall – corbels and everything – out of the same reclaimed lumber! Talk about stretching your dollar! With thicker wood and pre-cut brackets, you can have a more traditional farmhouse look. Pair them with a cute cabinet for closed storage. 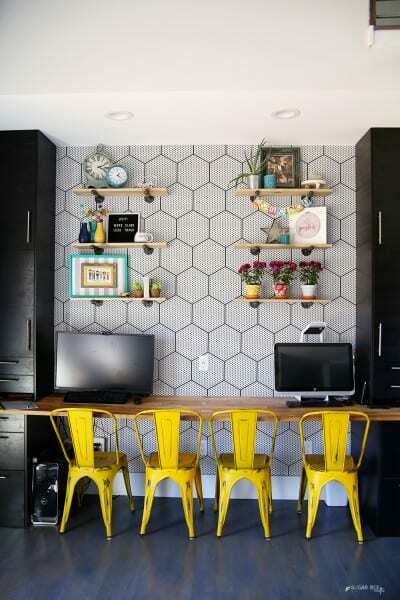 These open shelves have a cool twist – the brackets are actually from a handrail system! A clever and unique re-imagining. 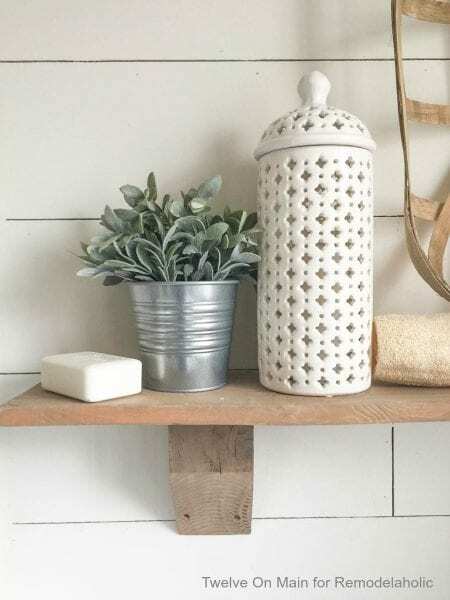 A chunky, rustic wall shelf unit is great in a bathroom or entryway. 10 Ways To Refashion A T-Shirt!